I am experiencing this kind of visual defects for small polygons in Mapnik. 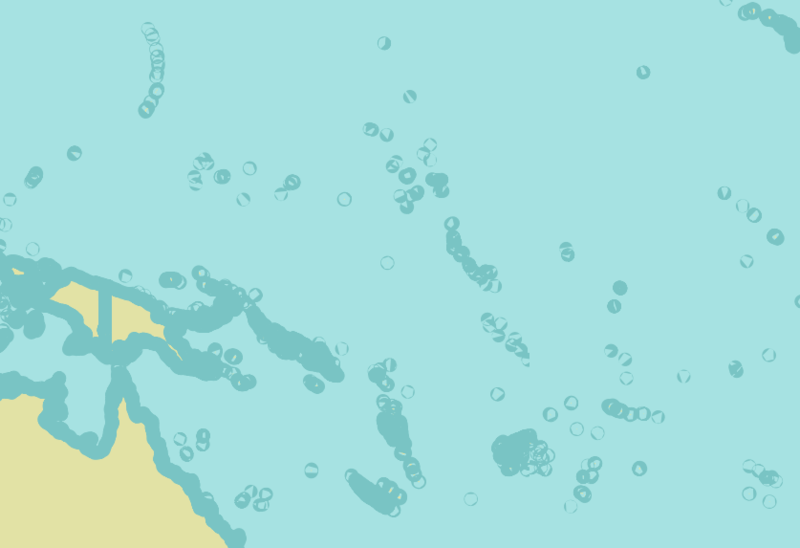 These, in particular, are the small islands in the Pacific. As you see, instead of being uniform and nice, the borders have turned into some sort of dried bubble marks. I have played with the line-join and line-cap properties, but this is the best result I have got and it is not enough. Can this problem be solved at all? Am I missing something? Must something be done differently? From your comment that you want to draw a thick outline around the land masses, you can reduce your outline to 1 or even get rid of your outline and then use a buffer tool to draw a buffer around the land mass polygons. This might help with the way the outlines are being displayed. Not the answer you're looking for? Browse other questions tagged mapnik cartocss or ask your own question. Seeking hardware recommendations for Mapnik Server? Rendering two shapes for point, and overlapping, using Mapnik?